Yes, two players can sign into on one PS3. You can sign in using your PSN ID on the same machine and retain the XP you earn at your friend’s house. And you can still take that hard-earned XP home with you and apply it to your character there. Although, if you’re Player Two, you can’t earn Trophies or character customizations (outfits, paint jobs, decals) as these are saved directly to the PS3. It’s not perfect, but it’s way better than Warhawk where Player Two couldn’t level up at all. 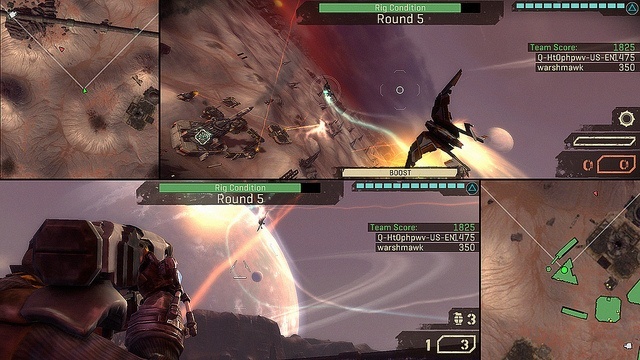 You can play Co-op off-line as well, but no stats get recorded. I included this quote in a comment from an earlier post, but I think it's appropriate to mention here. It appears that the second player will not have quite the same quality experience as player one. Kind of a bummer. I asked my primary co-op partner what she thought about this infromation, and she was not pleased. Maybe other players will be more understanding. 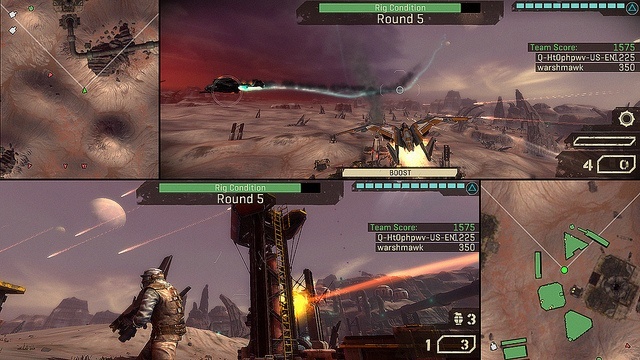 Starhawk is coming exclusively to the PS3 on May 8th. It supports two player local co-op, four player online co-op, and combo co-op. Page created in 0.2403 seconds.